AngloMobile is the only mobile offer in France which includes calls and texts to France, UK, Ireland, USA & Canada and also calls FROM the UK, Ireland & all EU. Unlike other plans, you can call both landlines and mobile phones in UK, Ireland, USA and Canada, as well as France or course. With AngloMobile you also benefit from a whole new range of exclusive and useful features. NEW ! Discover our new plans : more features, more minutes, more texts & new rates. Holiday Break: Because we know that your mobile plan in France will be less used while you are travelling abroad, you can decide to suspend and to take up again your mobile plan, quite freely! During your "Holiday Break", you will only be charged €2.50 per month. You can still use your mobile or receive calls while you are on Holiday Break, only the invoicing change: call-by-call instead of your chosen plan. The Holiday Break option does not comply with the EURoaming calls included in the plans, i.e., if you activate the Holiday Break option you will no more benefit from the EURoaming plan minutes. If you already own a cellphone, you just have to insert the our SIM card into the phone. That's all you need to start making economical mobile calls. 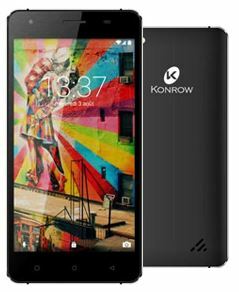 Konrow Just 5: Sharp 5" display powered by a 1.2 Ghz Spreadtrum quad core processor and Dual SIM handset too, so you now can have a unique smartphone with two SIM, your AngloMobile SIM as well as your native operator SIM. 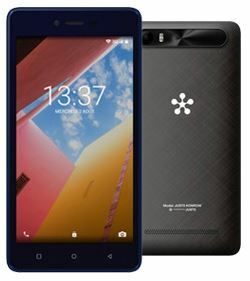 Konrow Coolfive+: An ergonomic design and a 5 '' HD screen to suit all tastes, controlled power that combines a 1.2GHz quad-core processor with 1GB of RAM & 8GB of ROM - Android ™ 6.0 Marshmallow & Dual SIM handset). 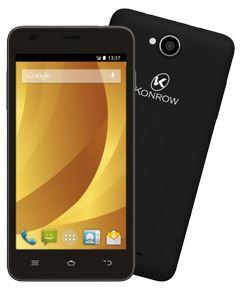 Konrow Link 50 (4G): Equipped with an MTK quad-Core 1.3 GHz processor and a HD 5 '' screen. It goes straight to the point. Performance and design, between modernity and sobriety, meet the needs of users looking for efficiency. (Dual SIM handset). AngloMobile uses the SFR network in France and SFR partners' networks worldwide (including Vodafone). See terms & conditions of each offer on Request form.